MAT The Basics Poppy Area Rug - Orange - Swatches may be available. Hand Tufted. Contemporary. Bold flowers in an abstract motif show off their vibrancy in the Poppy collection in a gorgeous way. 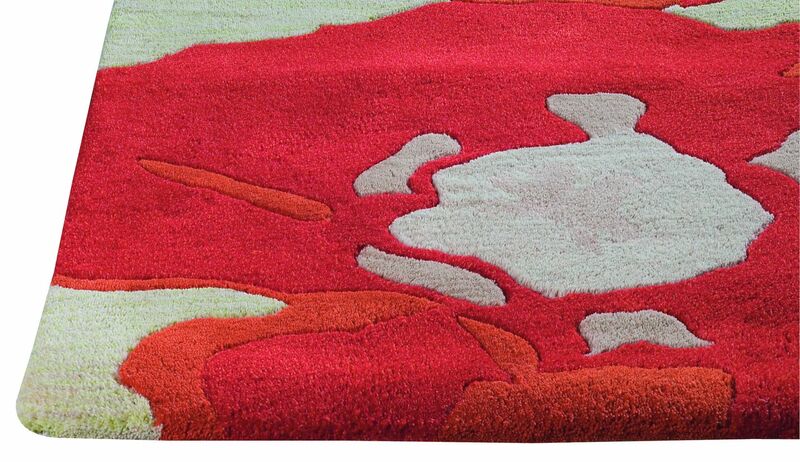 Draw the eye in and capture and audience with this rug, effortlessly. This contemporary floor covering is ultra appealing. Expertly created from a wool and cotton blend, the Poppy is a piece of art on its own. Select the color and size that best accommodates your design project. Hand Tufted with 90% Wool, 10% Cotton. Floral design. Pile height is 0.5 inches. Made in India. 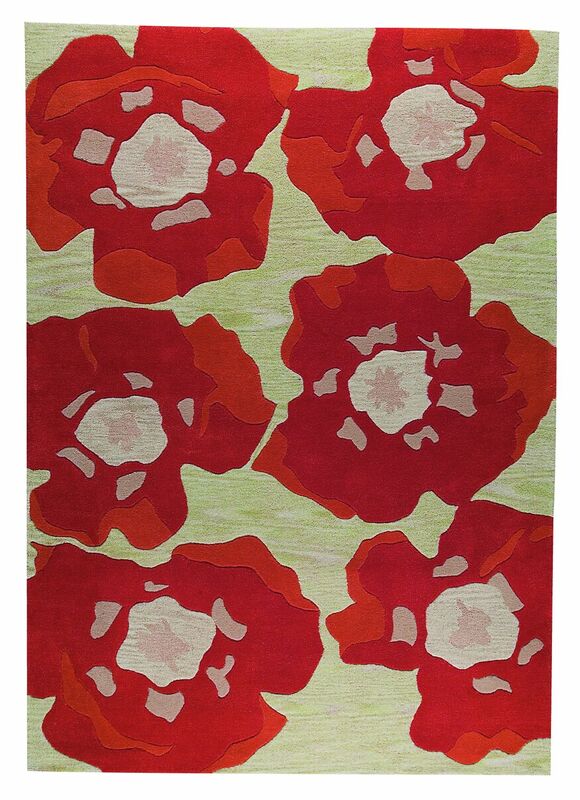 MAT The Basics Poppy Area Rug - Orange 5'6"x7'10"
MAT The Basics Poppy Area Rug - Orange 8'3"x11'6"